Green acres: I’ve got good news for nature lovers and all those working hard to preserve our beautiful backcountry. This spring, the county will begin to plant new trees in rural parks hit hard by plant disease and other challenges. Conifers and big-leaf trees like sycamores, which are not as susceptible to pests like the oak borer, will be planted in popular places like William Heise and Dos Picos parks to create a healthier, greener canopy. The board of supervisors approved the $2 million initiative in early January. Success stories: It was my privilege last year to bestow close to 100 county proclamations to residents and organizations for their great contributions to our region. Among the people and groups honored: La Mesan Ruth Sterling, firefighter Kendal Bortisser, recovery expert Jeanne McAlister, NFL referee Steve Coover, teachers Camden Flores and Kathy Worley, Volunteers in Medicine, San Diego Law Library, Home of Guiding Hands, San Diego Mountain Rescue Team and San Diego Youth Services. Never forget: When Dulzura firefighter Cory Iverson was killed battling a blaze near Santa Barbara late last year, it was a reminder of the dangers faced each and every day by our heroic firefighters. Cory was among the best of the best at Cal Fire. His dedication, bravery and sacrifice will never be forgotten. I want to commend all our firefighters and those in law enforcement for their service. Thank you for keeping us safe. — Dianne Jacob is San Diego County Supervisor for District 2. For more District 2 news, go to diannejacob.com or follow her on Facebook and Twitter. 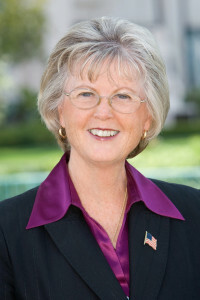 For assistance with a county issue, call my 619-531-5522 or email dianne.jacob@sdcounty.ca.gov.